To be or not to be, was the famous Hamletian question. 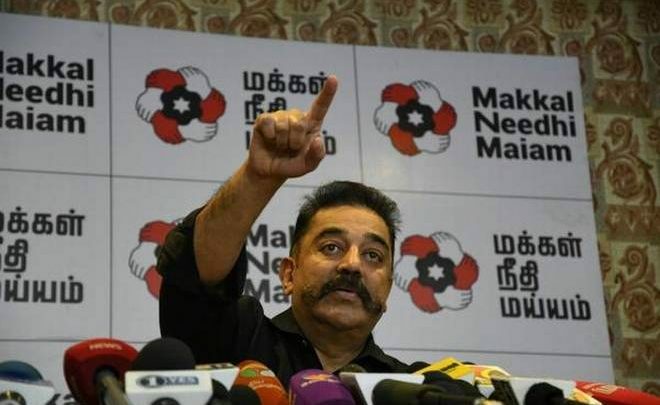 To align or not to align, is the dilemma that Kamal Haasan faces, even as his party, Makkal Needhi Maiam is getting ready to contest the forthcoming bypolls to 20 Assembly constituencies in Tamil Nadu. The party has also received a boost from the India Today survey released two days ago that the MNM has almost doubled its popularity support from January this year, and has in fact overtaken the support for actor Rajinikanth’s party. The MNM was preparing itself for the local body elections in the State but the indefinite postponement of these elections meant that the party did not have an opportunity to test the political workers, and assess its own strengths and weaknesses before the 2019 Lok Sabha elections. The MNM, which earlier was hesitant to contest the Tiruvarur and Tiruparankundram byelections likely to be held in January 2019, now finds that the byelections caused by the disqualification of 18 AIADMK MLAs (supporters of TTV Dinakaran) would present an opportunity to parties like his to judge the voter mood, assess its own organizational strengths and weaknesses, popularise its election symbol, project its credentials and political doctrine, and establish a line of communication with the masses. Over the last several years, many parties have avoided contesting by-elections in Tamil Nadu as these polls see a massive exercise of misuse of official machinery and the dominance of money power and other inducements by ruling parties. Even parties like the DMK have boycotted such polls when held in just one constituency. However, with 20 byelections to be held simultaneously, it would be difficult for a ruling party to micro-manage every single constituency. Therefore, these bypolls may see contests by almost all the parties. In that sense, the MNK too senses an opportunity to test its strength at the grassroots. The India Today-Karvy survey in January this year gave only a four percent support base for the MNK but it has managed to double this to 8 percent, according to India Today’s own survey, results of which were published yesterday by its TV channel. On the other hand, Rajinikanth who was projected as a major factor by the India Today survey in January with voter support of 16 percent likely to land them 33 seats in the Tamil Nadu Assembly if elections were held then, has suffered a huge decline according to the latest India Today survey. The drop is huge from 16 percent to 6 percent. Though there is no explanation for this drop, it is obvious that the delay of Rajinikanth in fully launching his party, the occasional praise for the AIADMK government, his indirect defence of the police firing in Thoothukudi by blaming external elements for instigating the protests there against the Sterlite plant – all these may have not gone down well with the electorate. Kamal Haasan has been seen to be more consistent and coherent in his policies, remaining steadfast in his opposition to the present AIADMK government as being corrupt and opportunistic. The problem for Kamal Haasan is that even a support base of eight percent would not guarantee electoral success in view of the first-past-the-post system of elections in the country. You can win eight or even 20 percent votes across the State but end up without a single seat. Parties like the DMDK, PMK and MDMK have suffered on this count. Does it make it good political sense to end up without a single victory, in the name of taking on all parties, and exposing yourself and your party, or is it more pragmatic to go in for an alliance, especially with a major party like the DMK, hide your weaknesses, even if you have to remain content with just a few MLAs or MP posts? This is the dilemma that parties like the DMDK, PMK and MDMK have faced in the past. Consecutive failures at the hustings have put pressure on the MDMK to sail with the DMK even if it is a bitter pill to swallow and be on the winning side. Some of Kamal’s advisers are suggesting a similar strategy so that the party doesn’t get written off if it draws a blank. The demoralising effect of a failure on the party’s rank and file can be colossal. Nothing succeeds like success in politics. However, the flip side is that the momentum gained by the party of seeking support for a new party, with a clean and fresh image, which maintains a distance from both the DMK and the AIADMK, could suffer if the MNM aligns even with the DMK. The narrative of being an alternative to the Kazhagams could get diluted. It would be difficult to attack these parties again after aligning with them for just an election. This was a factor that affected parties like the DMDK, MDMK and PMK, and even the Congress in the past. The media, which is used to receiving favours and bounties from the major parties like advertisement support, tends to write off smaller parties even if they stand for principles and a value system. Therefore, the short-term gains have to be assessed as against the long-term plan of capturing power in the State. These are not easy questions to resolve. The pull of alliance politics is such that it provides an easier, rosier and even cash-strapped option that few parties are able to wriggle out of. Smaller parties end up softer and less strident in their opposition towards the main parties. The fire and the angst against the DMK and AIADMK could well disappear, and the smaller parties may have to settle for smaller crumbs. This is the dilemma that Kamal Haasan faces, and which Rajni himself could have to handle later. This topic contains 0 replies, has 1 voice, and was last updated by Rangaraj 5 months, 4 weeks ago.